Promising drilling results released by Magmatic Resources (ASX: MAG) in relation to its Carlisle Reefs gold prospect on Tuesday morning resulted in its share price opening 27% higher. While this was under low volumes, it is worth noting that the company’s share register is relatively tight with the founders accounting for 51% and Gold Fields (the world’s seventh largest gold producer) 20%. With both shareholders agreeing to a 24 month escrow period, their interests in the development of multiple targets in highly prospective areas of New South Wales are very much aligned with those of shareholders. 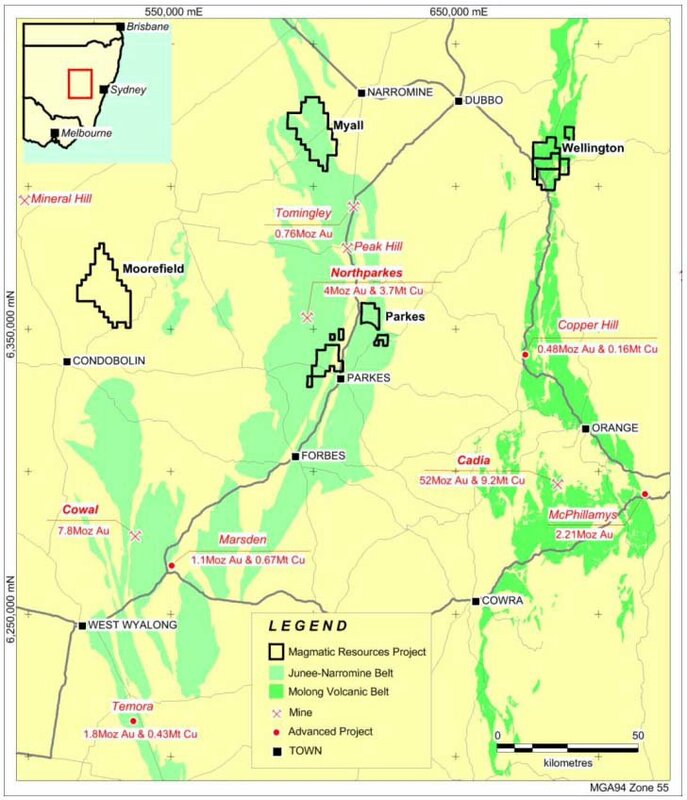 Gold Fields has a solid understanding of the area having spent $13.5 million exploring projects in the vicinity of a region that is renowned for producing prominent greenfield exploration projects. These include Newcrest Mining’s Cadia Valley, the third largest gold-copper porphyry in the world, producing 2 million ounces of gold and 75,000 tonnes of copper per annum. They are also long life assets with Evolution Mining’s Cowal project for instance being a 5 million ounce project, producing up to 300,000 ounces of gold per annum with a life of mine in excess of 20 years. The location of these projects and their proximity to the Moorefield project can be seen in the following map. Carlisle Reef is an historic goldfield which dates back to the 1930s. The area contains nearly 100 historic gold workings over an 800 square metre area. However, none of the workings have ever been drilled, and the holes tested beneath surface and underground workings yielded significant rock chips including more than 1000 grams per tonne gold. These were coincident with surface geochemical anomalies and interpreted favourable structural positions. The drill holes successfully tested the target areas and intersected gold bearing horizons with internal high-grade shoots that are hosted by strongly sheared and faulted metasedimentary rock package. 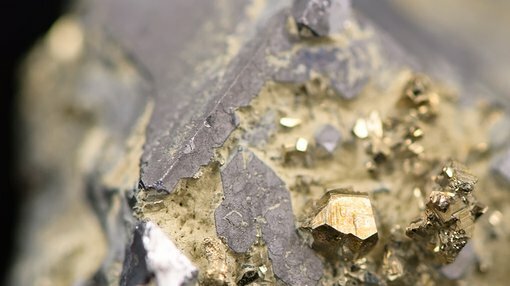 These geological characteristics are typical of those found in producing mines, and high grade gold rock chips at surface highlight the potential for more extensive gold mineralisation at depth. Currently defined gold mineralisation extends from near surface to 100 metres vertical and is open down dip and along strike to the north and north-west. 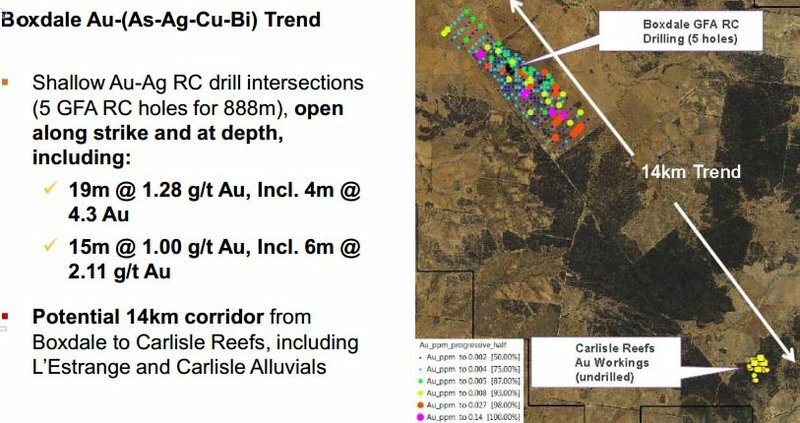 Gold mineralisation has now been intersected at Carlisle Reefs and Boxdale to the north-west where Gold Fields previously drilled five holes, one of which yielded a gold intercept of 19 metres grading 1.28 grams per tonne gold from 114 metres, including 4 metres at 4.3 grams per tonne. To a significant extent, these latest results serve to confirm management’s view that there could potentially be a 14 kilometre trend that runs between the two prospects as indicated below. 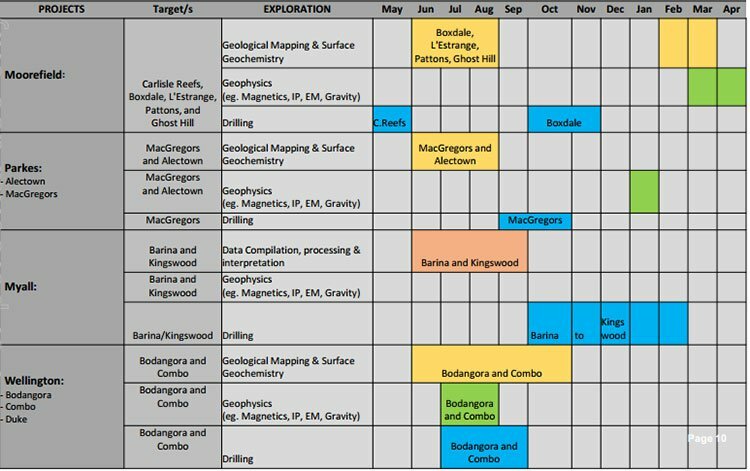 As can be seen in the following program, the next 12 months is an active period of exploration across MAG’s various assets, and should the company have continued success in this highly prospective region it could provide further share price momentum.